Offered only at two of York County Libraries, Family Place is a great way to get the whole family involved in the library! Family Place is an exciting family-friendly environment where we encourage growth through play and interaction. 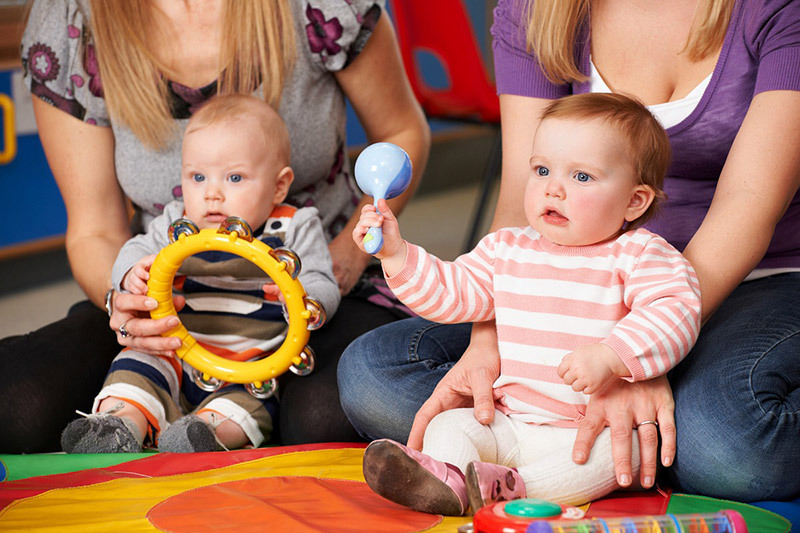 Parents and children ages birth to 3 years are given the opportunity to play with each other and interact with their peers in a comfortable, supportive environment. At the same time, parents and caregivers can interact with a variety of community developmental specialists to discuss the latest parenting topics, concerns, and child development issues. We welcome all families to join our free 5-week session of workshops! Program sessions are held periodically throughout the year in Martin and Guthrie Memorial Library. For specific dates and times of upcoming sessions, visit our Events Calendar. Once you have completed one of our 5-week sessions, you are invited to join our weekly play groups! During this hour of free play, kids will have the opportunity to play with toys and meet other kids, while parents can meet and discuss with other local parents. Visit our Events Calendar to see when our next Family Place play session is!